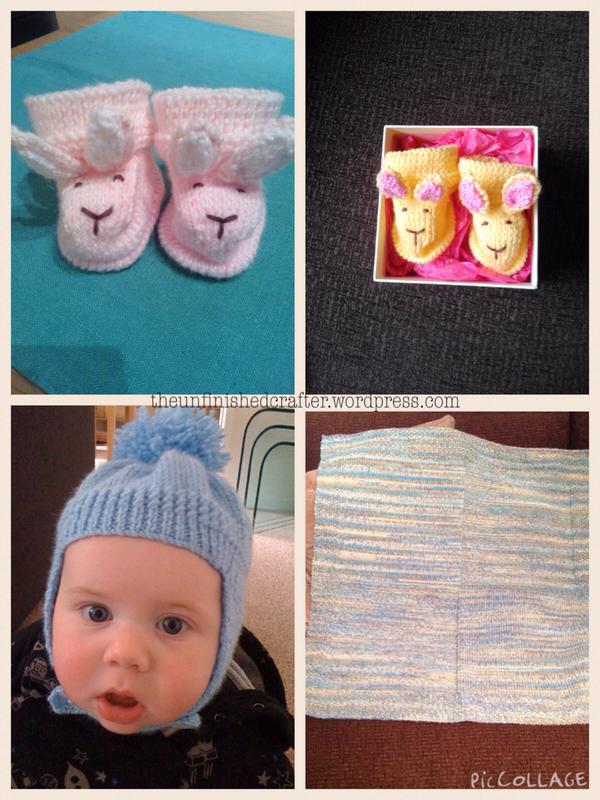 I’ve knitted a fair few items over the years: baby blankets, baby hats and booties. 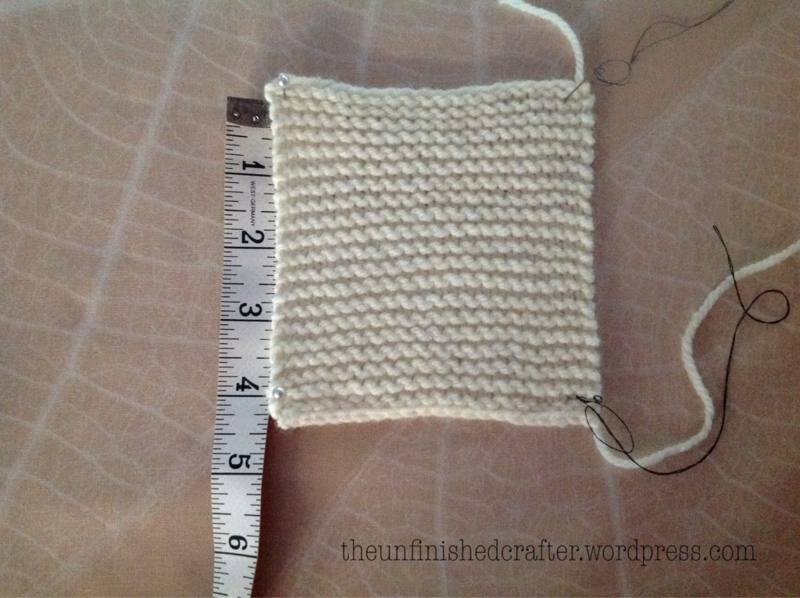 But, I have a confession: Never before have I knitted a tension square. The closest I’ve got is getting started and taking a tape measure to my casting on, thinking ‘that’s OK’ and carrying on. Shame on me. I’m currently holidaying in South Devon (next week, Cornwall!) with my family and I thought I’d take some knitting with me to do. It’s been a good 18 months since I last knitted something and one of my goals for this year was to get back into knitting. 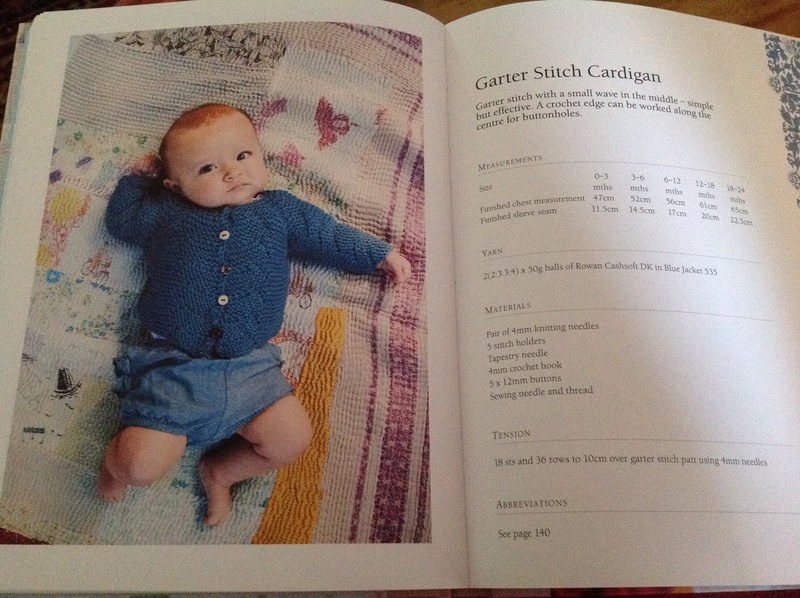 I have a few friends expecting babies in the autumn/winter, and there’s nothing like babies to get me knitting. I chose a couple of patterns from Lullaby Knits and quickly rifled through my Nan’s knitting needles (passed on to me now she can’t knit anymore) to get the right size needles. 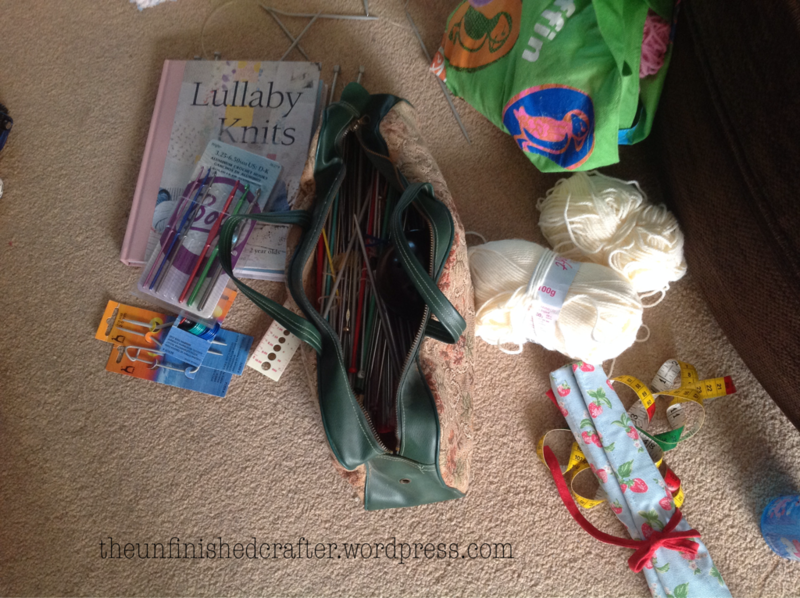 Her knitting bag is a real treasure trove and it’s lovely to be able to carry on the knitting for her. So, back to tension squares. I thought I’d attempt one this time. I duly consulted the pattern: ’18 stitches and 36 rows to 10cm over garter stitch patt using 4mm needles’. So, I cast on 18 stitches and started knitting. Next confession: I didn’t know you should knit more stitches and rows than the tension square requires! Fortunately, I Googled tension squares and soon realised the error of my ways. I added more stitches and knitted more rows, then cast off. It didn’t measure up quite right. Last confession: I didn’t know you should block tension squares. Google came up trumps again and saved the day. 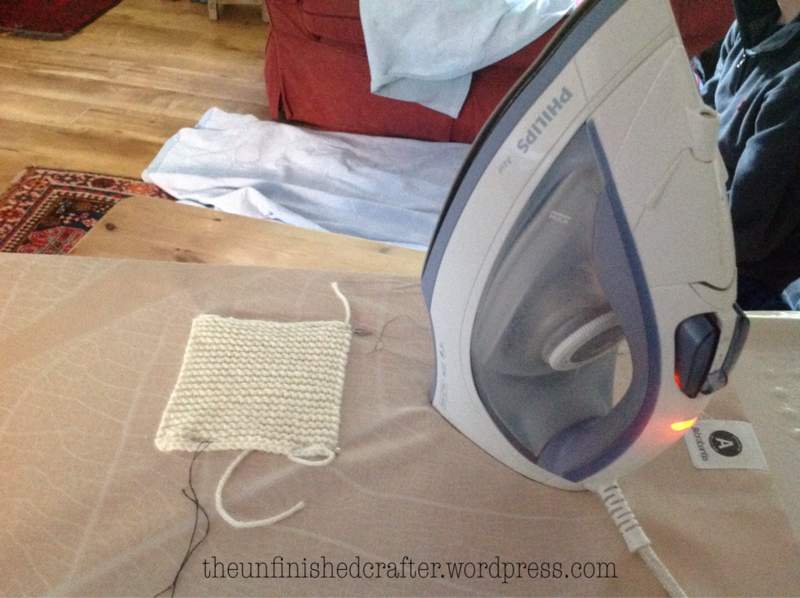 I’ve duly blocked my square using a steam iron. 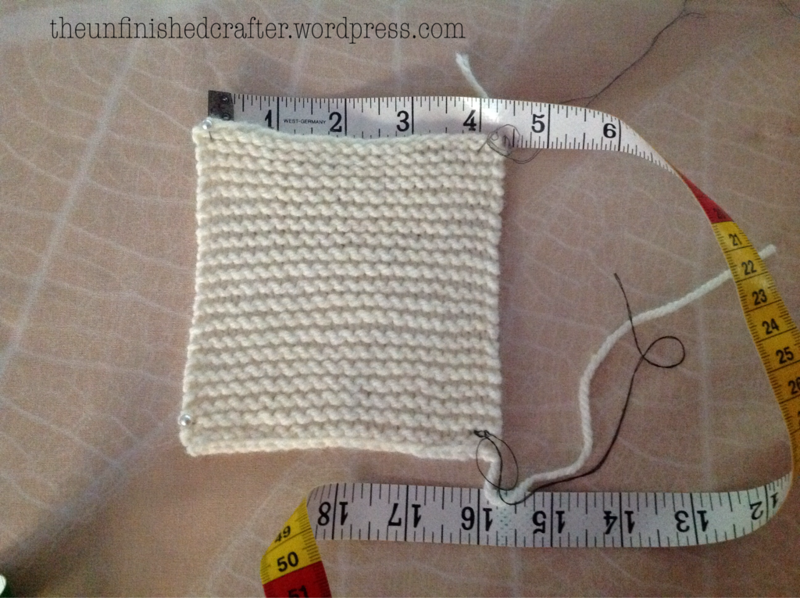 And, I’m pleased to report, having marked out the no of stitches and rows using pins, it measures 10cm/4″ square. Now, I’m ready to start knitting!